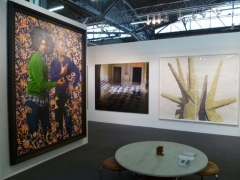 Sean Kelly will be exhibiting at the Armory Show (Booth 501, Pier 94). We look forward to welcoming you to the booth, where we will present a carefully curated selection of new and important works by Marina Abramović, Los Carpinteros, James Casebere, Leandro Erlich, Antony Gormley, Laurent Grasso, Callum Innes, Idris Khan, Peter Liversidge, Nathan Mabry, Robert Mapplethorpe, Alec Soth, Frank Thiel and Kehinde Wiley. 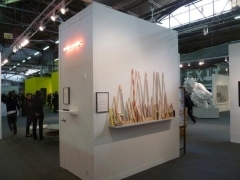 For the first time at the Armory, we will exhibit work by Idris Khan, Nathan Mabry and Peter Liversidge, three artists who recently joined the gallery. We will unveil a new body of work by Khan, commissioned by The New York Times Magazine for forthcoming publication. We will also feature new sculptures by Mabry, including a large-scale sculpture to be installed in the main hall of the fair, and highlight an interactive proposal by Liversidge, who had his first solo exhibition at the gallery this past December. 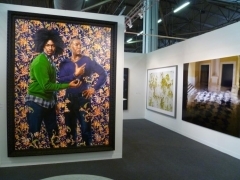 Also on view in New York during the fair will be Kehinde Wiley's The World Stage: Israel, a solo exhibition at The Jewish Museum opening to the public on Friday, March 9th. The exhibition includes fourteen paintings with a selection of textiles and papercuts chosen by the artist from the museum’s collection. For more information on the exhibition, please visit The Jewish Museum website. This May, Wiley will have his first solo exhibition at Sean Kelly, which will premiere a new body of work. To better accommodate those visiting New York for the fair, the gallery will remain open on Sunday, March 11th from 12pm until 5pm. March 11th marks the closing of Alec Soth's highly acclaimed exhibition, Broken Manual, at the gallery. That day at 1pm, Soth will give a walk through tour of the exhibition. This event is free and open to the public; however, space is limited. Please RSVP to info@skny.com if you wish to attend. 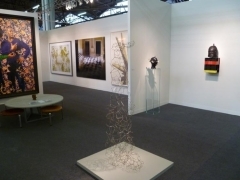 The Armory Show will be held at Piers 92 & 94 (Twelfth Avenue at West 55th Street) and will run from noon until 8pm on Thursday, March 8 through Saturday, March 10, 2012 and on Sunday, March 11, 2012 from noon until 7pm. 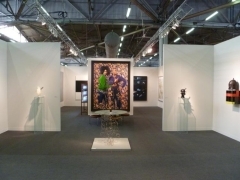 The gallery will remain open to the public for our regular hours throughout the course of the fair from 11am until 6pm on Tuesday through Friday and 10am until 6pm on Saturday. 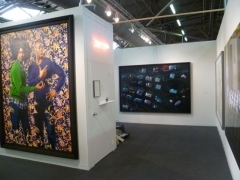 For more information, please visit http://www.thearmoryshow.com/cgi-local/content.cgi.